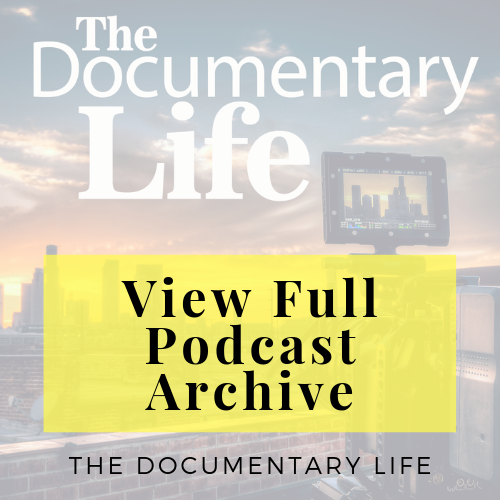 Back in October, documentary filmmakers, Deia Schlosberg and Lindsey Grayzel were arrested while filming separate but linked acts of civil disobedience. 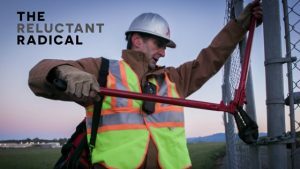 In Grayzel’s case it was for her documentary film, The Reluctant Radical, a film that follows climate activist, Ken Ward, as he sets out to make the world aware of impending massive global danger. This particular episode has been a long time coming since I’ve been in contact with Grayzel ever since her arrest, urging her to come on the show and speak directly to my listeners about her experiences, as well as offer some suggestions for doc filmmakers and journalists alike, so that we may all better arm themselves should we too find ourselves filming in potentially dangerous or law breaking situations. 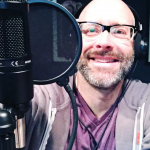 This show is a must listen, as there is much to glean from Schlosberg and Grayzel’s recent experiences! Read The Guardian article that really helped spread the message of the arrests of Schlosberg and Grayzel. As mentioned in the podcast, you can better educate yourselves on being apprehended/arrested while filming. 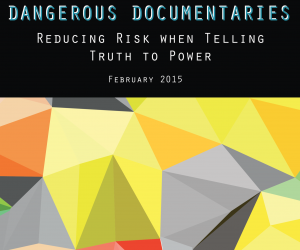 Simply download the .pdf of Dangerous Documentaries: Reducing Risk When Telling the Truth to Power here. Consider contributing and sharing The Reluctant Radical Kickstarter crowdfunding campaign. Raised monies will go directly to finishing post production on the film.